What begins as a relaxing vacation becomes something far more sinister as three families on a cruise are separated from their children during a shore excursion in Central America. This sounds insanely complicated, but like all of Meloy’s novels, Do Not Become Alarmed glides along with a clarity that’s almost uncanny. How did she turn a contraption this elaborate into a page-turner? ... Each of these seemingly inconsequential, accidental incidents changes the course of fate, often in momentous ways. Do Not Become Alarmed proves that you don’t need hackneyed thriller devices to generate powerful momentum and suspense ... This novel is a bait and switch in the best possible sense. 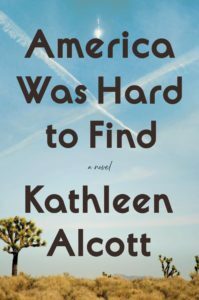 It promises readers easy-to-identify-with protagonists in a pair of mothers going through a parent’s worst nightmare. Then it presents them with so much more, a richer, broader palette of people to believe in and to understand. ...a very smart work of literary fiction that exposes how very thin the layer of good luck is that keeps most of us from falling into the abyss ... Meloy is such a deft writer that she keeps the adventure plot whizzing along even as she deepens our sense of the characters and the unfamiliar culture they have to navigate. You may (mistakenly) think that you don't want to enter the nightmare world of this novel, but Meloy makes you realize what a luxury it is to have that choice. ...an earnest and surprisingly generic children-in-jeopardy novel, one that makes few demands on us and doesn’t deliver much, either ... These women and their husbands aren’t distinct characters; they’re upper-middle-class types. The crunchy details, the chili-rub and panko crust that would bring them to life, are absent ... Meloy’s portrait of well-meaning but still ugly Americans resonates. So does her depiction of a certain kind of mental state. 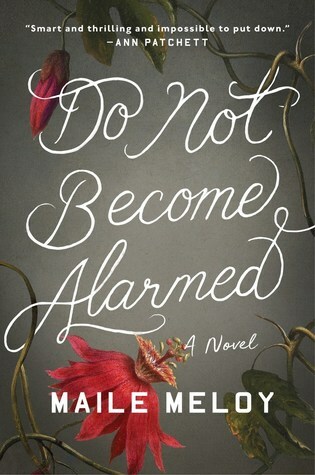 What did you think of Do Not Become Alarmed?